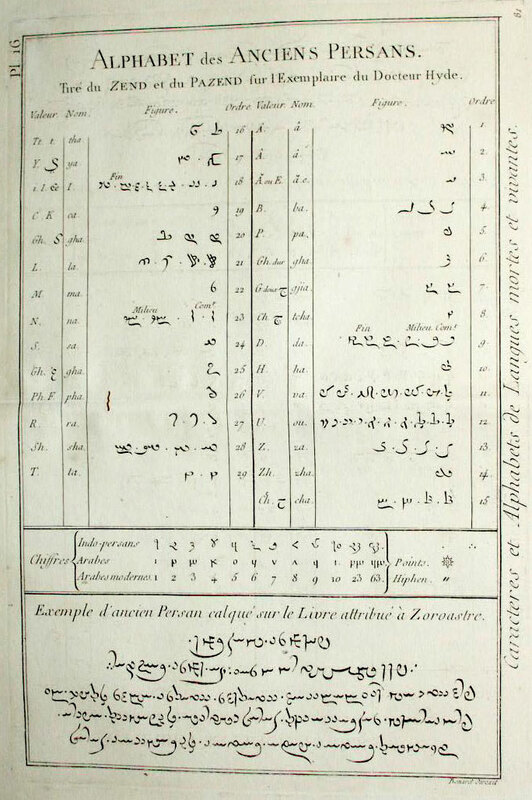 Double 1785 Plate 16 from Diderot's ENCYCLOPEDIA, "ALPHABETS DES ANCIENS PERSANS" [Larger]. 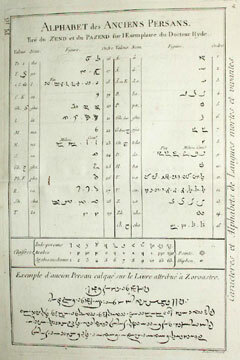 An educational plate to educate Europe on the OLD PERSIAN LANGUAGE. Denis Diderot (1713-1784) set to create an encyclopedia of crafts in the 18th century. The entire encyclopedia was published between 1751 and 1772, and comprised 17 volumes of text and 11 volumes of plates. The marvelous detailed plates show how everything in the period was made. It had a huge impact on its own time.